In response to the summer of uprisings in 1967, President Lyndon B. Johnson established the 11-member National Advisory Commission on Civil Disorders. Johnson asked the commission to answer three key questions: What happened during the riots? Why did the riots occur? What could be done to prevent riots from happening in the future? Illinois Governor Otto Kerner chaired the National Advisory Commission on Civil Disorders, which became known as the Kerner Commission. According to the commission’s report, the United States was socially and economically divided. The commission warned: “Our nation is moving toward two societies, one black, one white—separate and unequal.” In addition to Newark and Detroit, the group surveyed uprisings in 23 cities. An armed soldier stands guard with his gun raised in front of a looted store, Belmont Prescription Pharmacy, during the 1967 Newark riots. 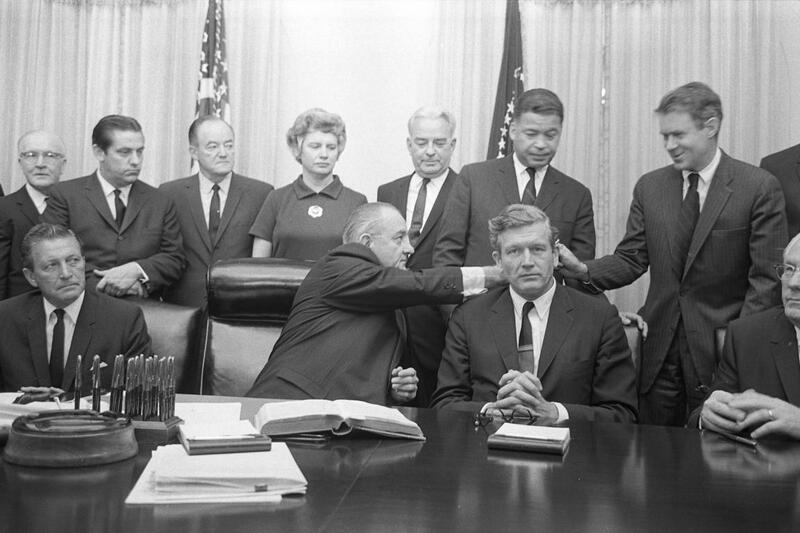 The Kerner Commission cited numerous grievances as triggers for civil unrest. Among them were discrimination in policing practices, the justice system, and consumer credit practices, inadequate housing and public assistance programs, high unemployment, and the exclusion of communities of colors from the democratic process.